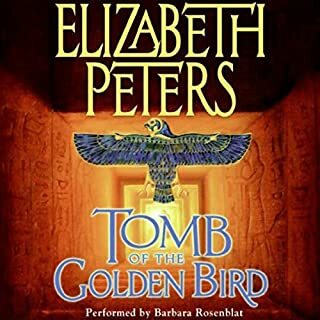 In her best-selling Amelia Peabody mysteries, author Elizabeth Peters has created an award-winning mixture of vivid archeological detail, finely-tuned suspense, and witty romance. 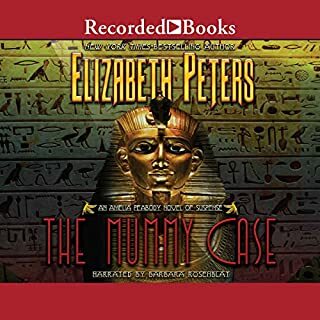 This, the 12th Amelia Peabody mystery, opens in 1914. As the tides of war rise, Egypt is threatened by attacks. 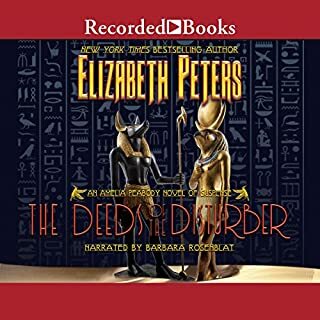 Espionage abounds, pulling in several members of the Peabody Emerson household even as they embark on a new archeological season. Amidst a growing tangle of disguises and deceptions, Emerson's nemesis, the Master Criminal, appears. 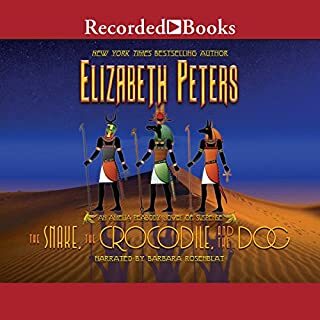 As increasing perils threaten the Peabody Emersons, their expedition, and Egypt, help arrives from a most unlikely source. He Shall Thunder in the Sky is a treasure; absorbing, intriguing, and highly entertaining. And the surprising resolution is one that leaves even the unflappable Amelia thunderstruck. This is a wonderful tale, told with humor and knowledge. 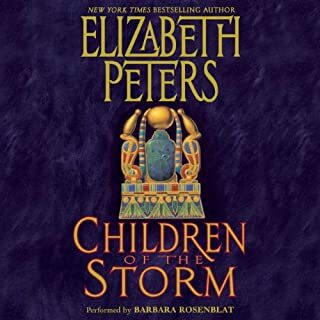 I've listened to all the books in the series, and this was definitely the best. Amelia can be a bit egotistical, so injecting some more "objective" narrative can be a relief. 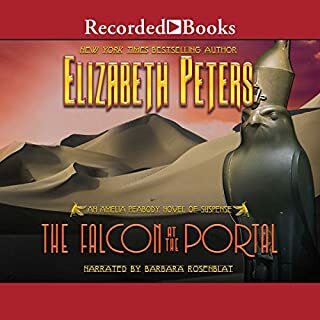 And this narrator - Barbara Rosenblat - is fantastic, with a range of voices that is truly awesome. No disappointment in this book. The characters are continuously growing and the younger members of the family are following in Amelia's footsteps. The readers voice too is aging which is appropriate. 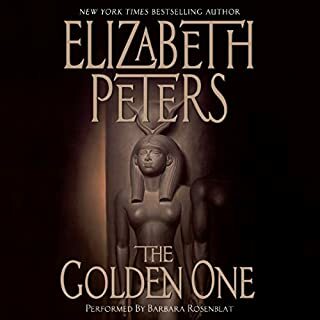 The additional manuscripts from Ramses and Nephret shed a lot of detail to the story. 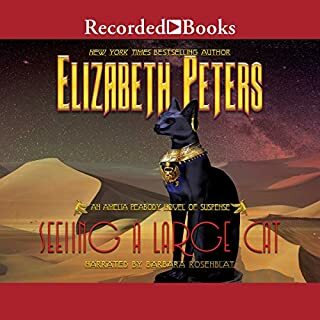 The only disappointment is that Audible has chosen not to carry the unabridged versions of the next 3 books, and they ARE available. Too bad, I won't waste money on abridged versions. 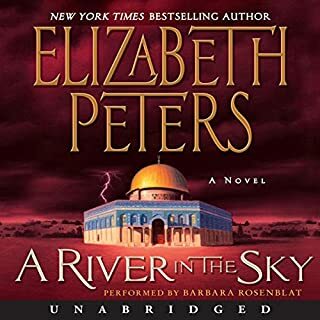 Barbara Rosenblat is wonderful, and the characters have truly, matured and grown over the years. I am really sorry that the next three titles are only available in ABRIDGED form. I will try to get in large print because I'm visually impaired. After reading I will continue, with the unabridged title # 16. I couldn't even find 13,14,15, unabridged on audio anywhere. seems the publisher didn't think it necessary. If after I read the 13,14 and 15 and I wish to listen to the ABRIDGED version I'll consider. I 'll never understand the way publishers think or do things. If any you have been following the series and are up to this title don't miss it. I really enjoyed, especially the ending. 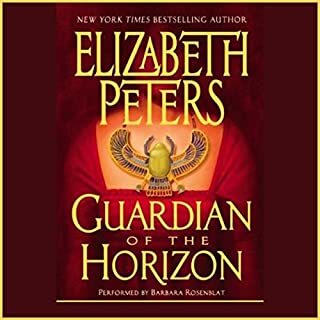 I love this whole series, but this installment is particularly satisfying. Not to be missed! 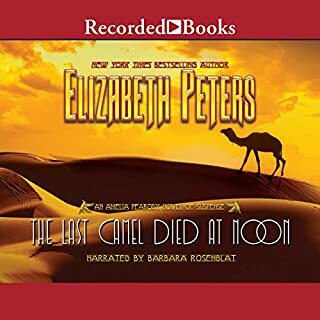 I picked up this audiobook having never heard of the series before. 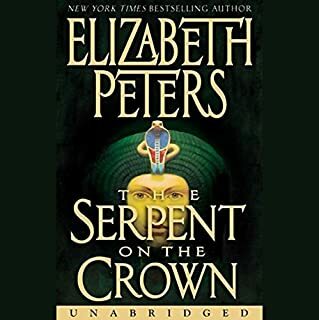 In fact, I didn't realize it was one in a series until I started listening, I only noted that it was a highly rated book when I decided on a whim to purchase it. I really loved it! The reader was extraordinary in handling the huge cast of characters and the story managed to contain both overt and subtle humor without sacrificing drama, suspense, and even a little romance. 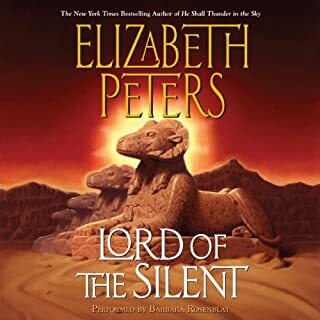 I've been yearning for another since I finished it but the next book in the series is only available in MP3 in abridged format and there's no way I want to sacrifice any part of the story. Thank me later. Barbara Rosenblat is superb as usual. If you like a dash of tortured romance in your mystery, this is the book for you. This series is a favorite. The history is reliable, the style is authentic, and the plots are engaging. 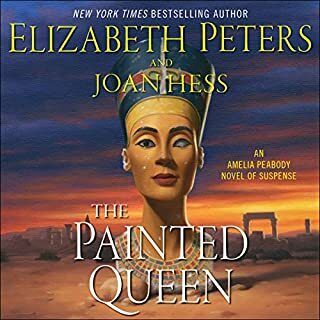 The the characters are likable and amusing; their development and their changing relationships pique interest in the ongoing saga. 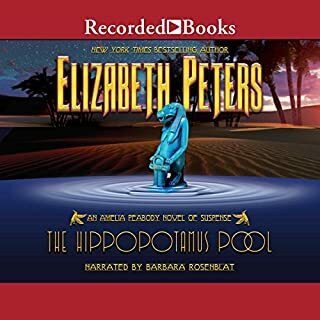 I love these books and think Barbara Rosenblat is amazing. If you are attached to the characters in the series, this is one of the best of the bunch. 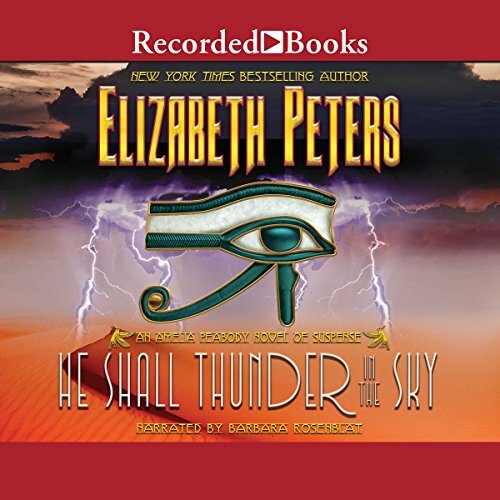 Would you consider the audio edition of He Shall Thunder in the Sky to be better than the print version? If you could rename He Shall Thunder in the Sky, what would you call it? 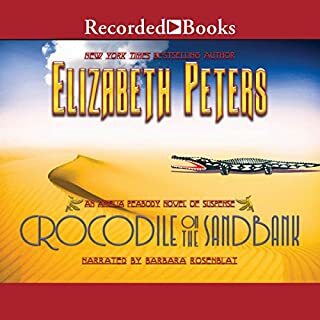 I have read all of the Amelia Peabody books and was ecstatic to find them in Audio Books. Of all of them, this has always been my favorite. 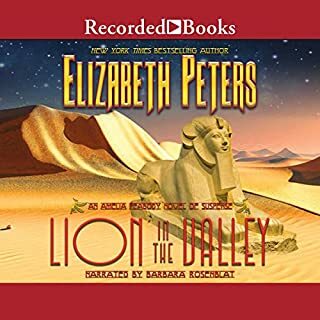 Barbara Rosenblast's narration makes the books-I couldn't imagine anyone else. The characters are delightful. The story line is intriguing. The setting is exotic. The performance, the plot...all good. Which character ??? 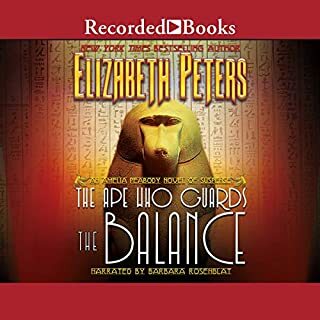 as performed by Barbara Rosenblat ??? was your favorite? Rameses. Such a nice mixture of shy and outrageous. Absolutely. Had a difficult time not doing so!